The only loss in the last month was to Providence – the same team that had bounced the Big Red from the ECAC Tournament the previous year. So, of course, when the 1979 quarter-final matchups were announced, it was the Friars who would be coming to Lynah Rink. Providence jumped out to a 2-0 lead in the first period as the Lynah Faithful looked on in stunned silence. The game went from bad to worse when Providence’s Tom Bauer scored at 46 seconds of the third period. 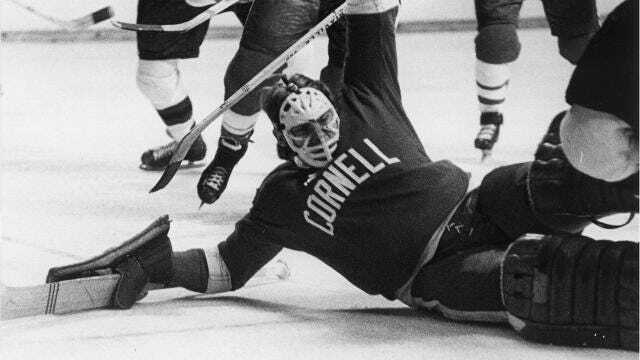 Cornell finally got the zero off its side of the scoreboard when John Stornik took a pass from Brock Tredway and beat Providence goalie Bill Milner — but then Bauer scored again, putting the Friars up 5-1.